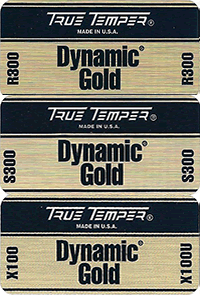 No overview of golf shafts would be complete without a discussion of the True Temper Dynamic Gold Iron shaft. It has been with us for a long time and does not change. Its not as exciting to review as some of the new technology we see, but it remains the number one iron shaft on the PGA tour. The EI profiles show three different shaft designs, Regular, Stiff and X-Stiff. This is not what we see from most other companies. Their patterns are consistent from weight to weight, flex to flex. This entry was posted in Iron Shafts - Steel, Russ Ryden - Fit2Score, True Temper on June 23, 2013 by Russ. The EXS line from Fujikura is an Economy line of shafts available from Fujikura Charter Dealers. It features High, Mid and Low launch versions.That is unusual in an economy shaft. When budget is an issue and a golfers fit indicates a particular shaft profile, the Fujikura EXS is available in a wide range of weight and flex.. The colors match the Fujikura Motore Speeder, also available in high, mid and low launch versions. Having recently profiled the Motore Speeders, the Fujikura EXS line have a great deal in common with the Speeders. Not all weights and flexes match exactly, but I can find close matches with a little hunting. If the Speeder is a budget buster the EXS deserves a hard look. This entry was posted in Driver Shafts, Fujikura, Russ Ryden - Fit2Score on June 18, 2013 by Russ.